I try to be quite ruthless with my cookbook collection as it’s all too easy to accumulate books you never cook from. The reality is, most of my recipes come from the internet these days. That said, there are a couple of books that I’m really loving at the moment. Have you heard of French & Grace? The little Brixton restaurant is pretty well known around here as was their supper club (one of the first) called the Salad Club (find out more on their blog). Still, I’m not sure I would have rushed out to buy the book, instead my friend gave me a press copy and I was immediately taken in by the spot on styling (juust enough shabby chic). I’ve tried a few of the recipes and they’ve all been delicious – exactly the kind of thing to cook when you’ve got friends coming over. Hearty, filling and just a bit special. The brunch recipes look amazing too. 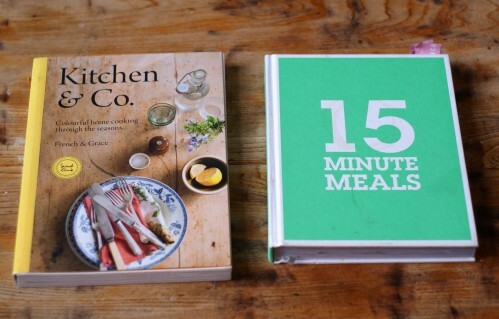 I will tell you now – these recipes don’t take 15 minutes, more like 30 minutes or maybe 45. Which to me, is still pretty good for a weeknight. This book was a godsend when I had a tiny newborn and I still use it all the time. 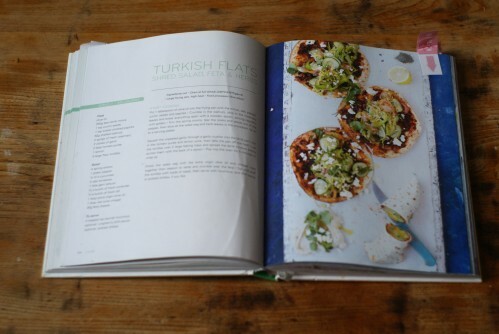 In fact, it’s the book I’ve cooked the most recipes from ever. I love it and can’t recommend it enough. I particularly like the fact that all of the recipes are reasonably healthy, clearly Jamie’s worked hard to keep calories down and stuff in as many veggies as possible. Do you have either of these books? Do you like them as much as me? Any other cookbook recommendations? You must try Diana Henry’s books, they are wonderful, all very different from one another but all very good. 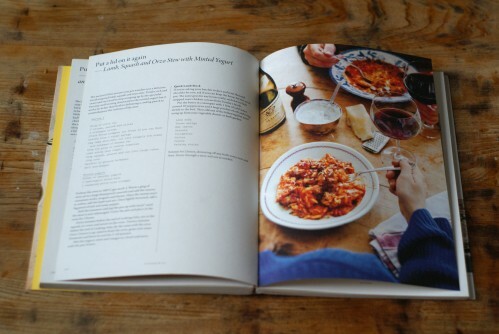 Nigel Slater’s newest: EAT is rather beautiful and lots of simple ideas. I am a big fan of Gwennies It’s All Good too. Some really lovely healthy food ideas. Diana Henry’s latest book sound interesting and I’m intrigued by Gwyneth… is the book actually good? I spent a fortune on manuka honey and coconut oil the last time I tried one of her recipes!